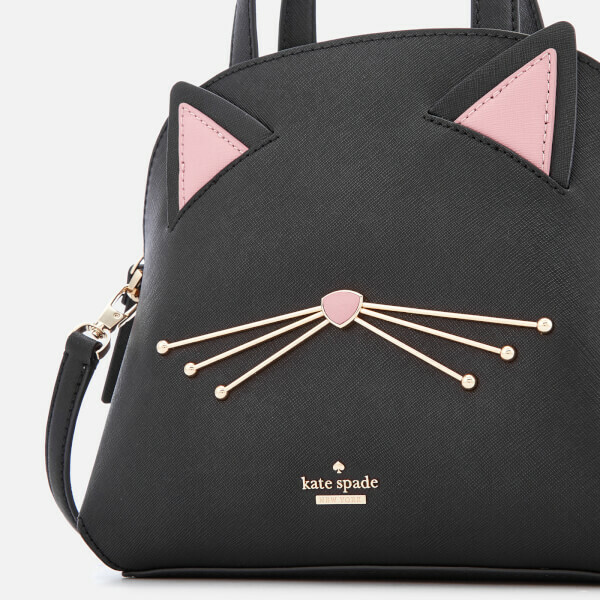 Playful black tote bag from Kate Spade. 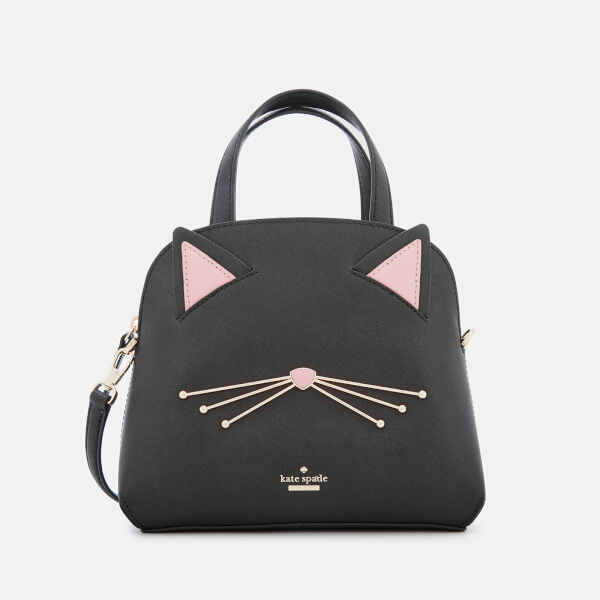 Crafted from crosshatched leather, the small ‘Lottie’ bag is designed with appliquéd cat ears and gold-tone metal whiskers to the front. 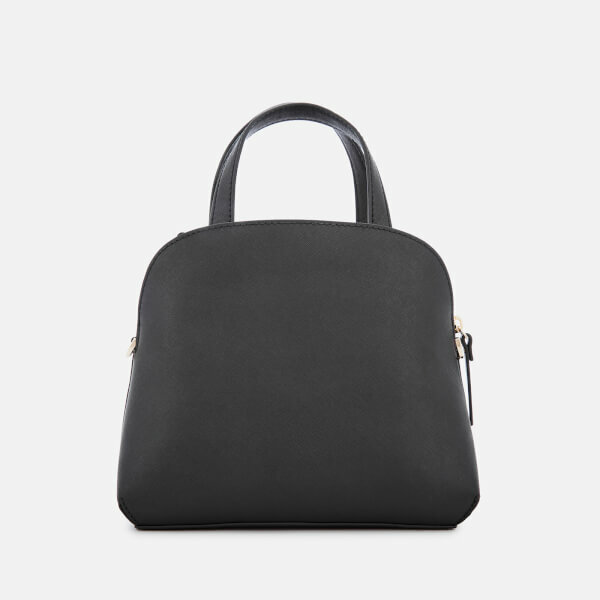 The bag has a compartmentalised design with two open pockets and a central zip pocket with a slip pocket to the interior. Each pocket is lined with black and white bookstripe fabric. 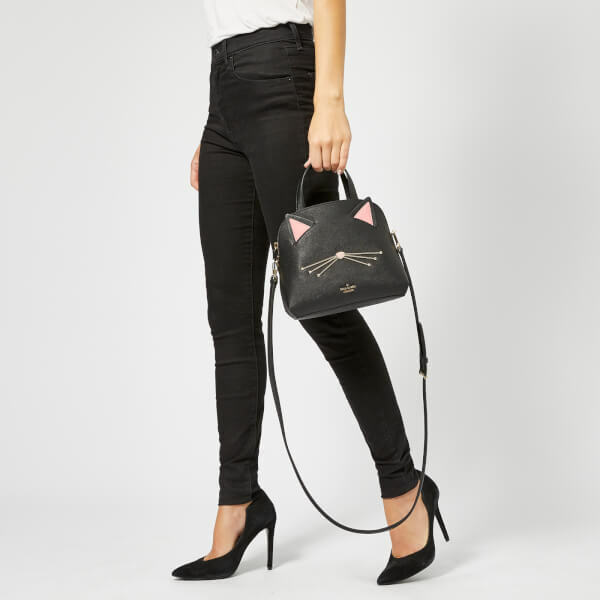 Dual carry handles and a detachable, adjustable shoulder strap offer versatile carrying options. Gold-tone hardware and a metal logo to the front completes the design. Dimensions: H: 20.5cm x W: 21cm x D: 8.5cm. Handle Drop: 9cm. Strap Drop: 52cm.